East Coast Engineering & Surveying, P.C. is a Professional Civil Engineering and Surveying firm that offers clients the professional knowledge and advice necessary to manage any size project. Its staff, with over 50 years of combined experience, has been providing civil engineering services since 1996 with the addition of surveying services in 2007. 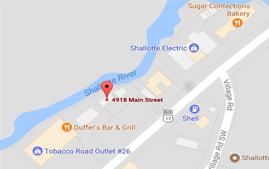 Located in Shallotte, North Carolina, East Coast Engineering & Surveying, P.C. has had the opportunity to not only witness, but to take part in the visualizations, planning, and design that has sparked such an unprecedented growth in the Coastal Carolina area. Alan Lewis has provided services in both the private and public sectors spanning over 29 years with experience including planning, design, and project management for water distributions and transmission systems, construction management and project permitting for commercial and residential projects. He has extensive project experience in project management, preparing technical specifications, cost estimating, construction administration and construction inspections. He is well versed in the design, permitting, bidding and construction phase of civil engineering projects. He has extensive water system experience throughout Brunswick County. Mr. Lewis has a good working relationship with both Brunswick County Engineering and Brunswick County Public Utilities and over the past 29 years has been fortunate to assist in the design, permitting, bidding and construction management of over 800,000 lf of water mains within Brunswick County on multiple SAD and CIP and over 700,000 lf of water mains within local municipalities and local private projects. Alan’s past associations include the American Society of Civil Engineers, AWWA, SBI Rotary, SBI Chamber of Commerce, BCC Foundation and Committee of 100. He is proud to have served on the Town of Shallotte Planning Board, Brunswick County Planning Board, Cape Fear Rural Transportation Adversary Board, Brunswick County Lockwood Folly Roundtable, Camp United Methodist Church Trustees, Town of Shallotte Aldermen, Town of Shallotte Mayor Pro-Tempore and Town of Shallotte Mayor. Currently serves on the Board of Trustees for the NC School of Science & Math. Chris Stanley is a licensed professional land surveyor with over 25 years of experience in the surveying industry. He has extensive experience in both the private and public sectors. 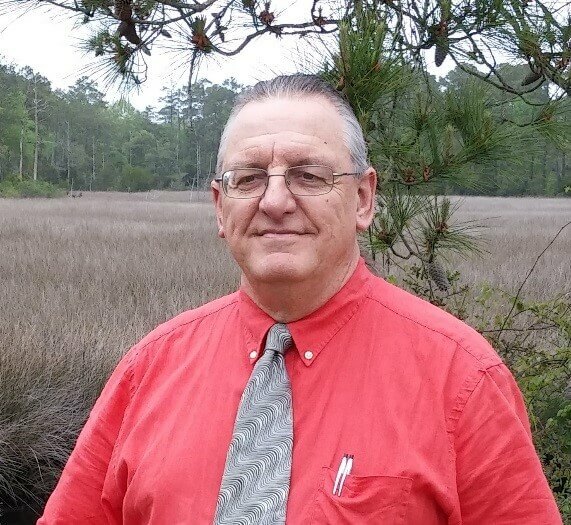 He has performed over 500,000 lf of route surveys associated with numerous Brunswick County CIP and SAD projects over the span of twenty-four years. He also has provided boundary, topographic, wetland, as-built, highway construction, site construction staking, subdivision development, annexation surveys, legal descriptions, title research, easement acquisition, beach monitoring and hydrographic surveys. 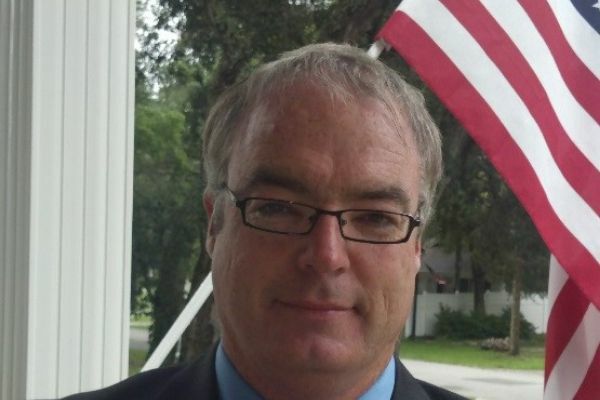 He has performed numerous CAMA surveys and is very familiar with the permitting process. Mr. Stanley has an extensive background with AutoCad Civil 3D Software allowing for the collection of raw field data and efficiently translate the data into then usable information necessary for Civil Engineering Design. His knowledge of what field information is required during the design phase of project is an asset from working closely with engineers and assures timely and cost-efficient services. Chris currently serves as Vice-President and Director of Surveying Services. Chris is a native of Brunswick County and his family resides in Ocean Isle Beach, North Carolina. He is a member of the North Carolina Society of Surveyors. Chris serves as an Adjunct Instructor at Brunswick Community College in the Surveying Program and has served on the Brunswick County Planning Board. Robert E. Tucker, PE has provided engineering services for the past 39 years in both the private and public sector, with experience with commercial, residential, and municipal projects. 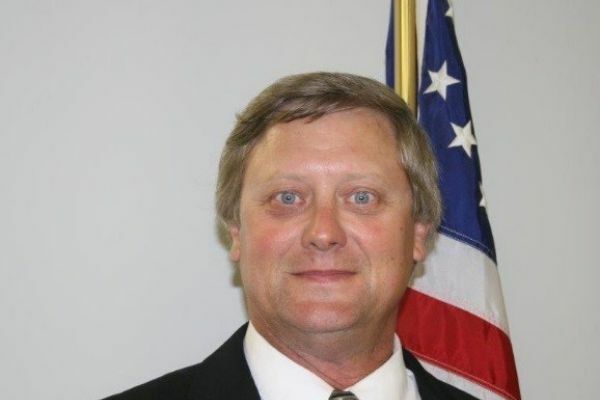 Having served as County Engineer for the County of Brunswick as well as Director of Development Services for the City of Cary; Robert has an extensive background in planning, design and construction of a variety of public works projects while employed with local government. He has extensive experience in project management, cost estimate, design, permitting, Federal and State environmental permitting, master planning, site planning, and resort development. He has experience with the design, and project management for water distributions systems, wastewater pump stations, collection systems, management and permitting, stormwater and erosion control, for both commercial and residential pro-jects. Mr. Tucker will be involved with the engineering reports, water mod-els and hydraulic reports and calculations for this particular project. He has a good working relationship with North Carolina Department of Energy, Min-erals and Land Quality , NC Division of Coastal Management , and US Ar-my Corps of Engineer Staff which is invaluable when working with in Coastal North Carolina.